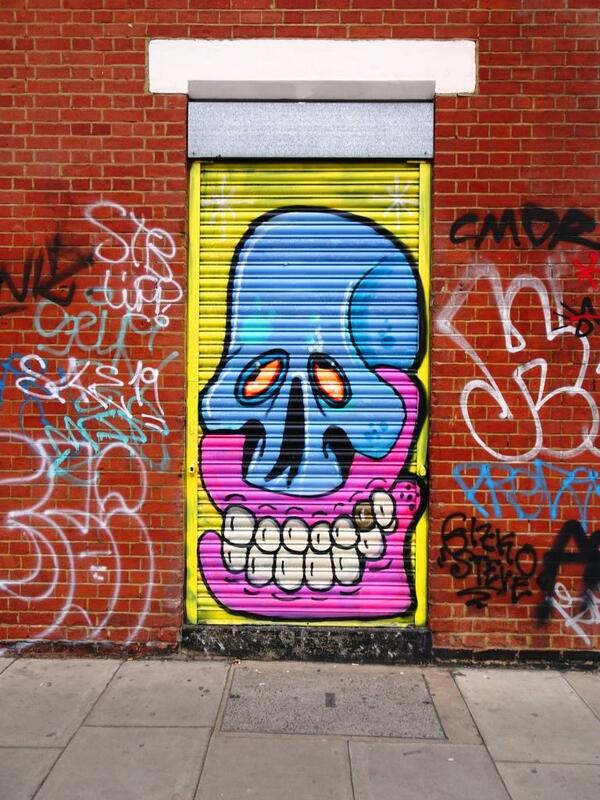 Unmistakable, this piece is from our very own street art mega-star, Inkie. In Bristol, he is pretty much a household name and is recognised not only for his amazing street art work, but also for the stunning designs he produces in his studio. Many of his prints hang on the walls of Bristol homes. At Upfest, Inkie was supposed to have a different wall, but for some reason he didn’t take it, and Dzia did an extra piece (the robin) instead. This was where Inkie ended up, in a back yard that is fenced off. A few intrepid visitors found it and went round the back of the yard, and saw that the gate was open (probably for the festival only). There have not been many images of this piece, even though it is still there. A beautiful example of his work, so clean and an example of wildstyle writing at its best.